One of my favorite authors these days is Hilary McKay. I simply adore the Casson family and all the books that Ms. McKay has written about them. Also, her sequel to Frances Hodgson Burnett's A Little Princess did not disappoint. That one is titled Wishing for Tomorrow. So. You can imagine I was thrilled to hear that she has a new series (coming to the US from across the pond) about a girl named Lulu. 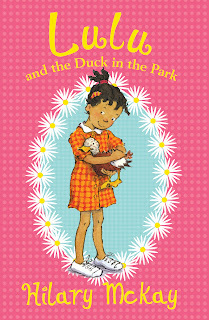 I put Lulu and the Duck in the Park on hold at my local library, but didn't get over there in time to pick it up! Alas. Thankfully, there is a review at Madigan Reads, if you're interested. 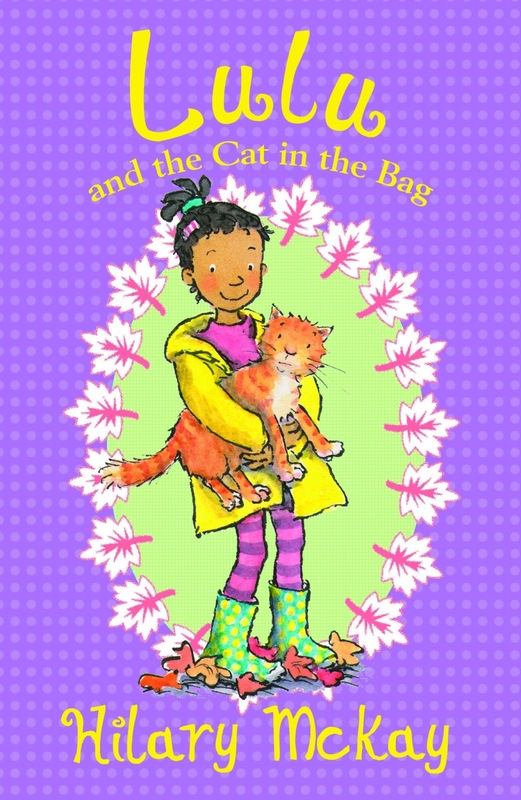 Madigan says, "The reading level is just a skoche easier than Junie B. Jones and Magic Tree House, but a nice step up from Amelia Bedelia or Jean Van Leeuwen's Amanda Pig series." Book 3, available Fall 2013. I must say, I was a bit surprised to be given that as a blog post, but then when I thought about it, I realised that I had used eyeglasses twice in books that matter very much to me. So, eyeglasses and my little sister. When my little sister was eight years old it finally dawned on her friends and relations that the reason she never seemed to know quite where she was, was simple. She was living her life in a lovely blur. I seem to remember that my sister liked her lovely blur. She was content with her impressionist painting of a world and was quite happy to keep it that way. She did not take kindly to the idea of glasses, and when she finally got them she saw no advantage at all in all the sudden edges and outlines and corners that appeared. She didn’t like the world in focus. And then it became night. Dark. And why was she out in the garden? I can’t remember. All I can remember is her outraged indignation when she looked up. All her life she had known about stars. She had seen pointy shapes drawn on Christmas cards. She had been given gold and silver sticky backed ones for extra good work at school. But she had never seen stars in the sky. But at the same time were not too far from tears. Mystery solved! I, too remember seeing the stars through my new lenses. I would have been about nine years old. Seeing stars, the real stars, was an awe-inspiring experience. And speaking of awesome things, I have a giveaway for you! 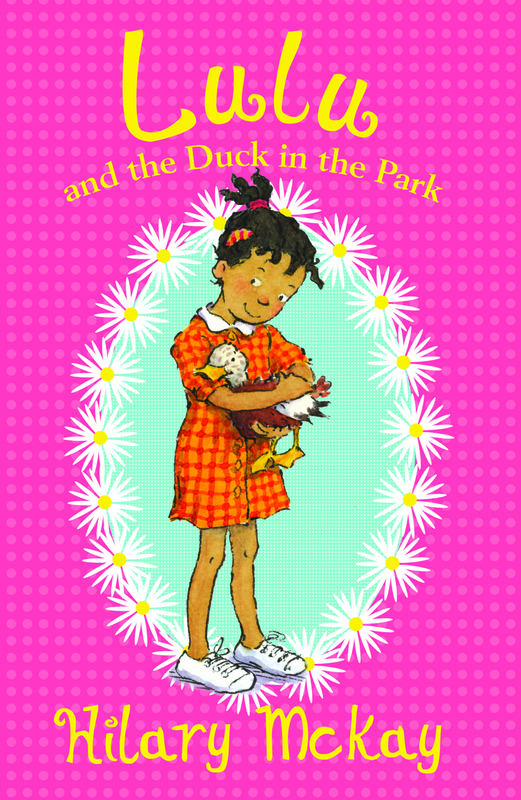 One of you lucky people (in the US or Canada) can win a signed copy of Lulu and the Duck in the Park, which is the first in the Lulu series. Doesn't it look great? More info on the publisher's website. To enter, please leave a comment on this post before midnight on April 1, 2013. What is your experience with glasses? Do you have them? Do you wish you did? My little sister wanted glasses so bad that she fibbed like a fisherman to get them and ended up with bifocals. I'm curious to hear your story. The winner of the book will be announced right here! For more details, check out Everead's full giveaway policy. 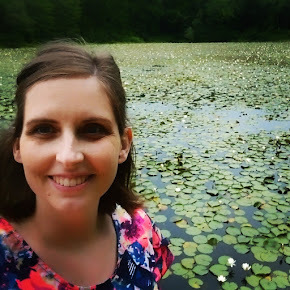 The **NEW** Winner is KATE! Congratulations! Send your contact info to everead@gmail.com within the next two days to claim your prize. For more from Hilary McKay, and more chances to win the book, visit the next stop on her blog tour, http://www.greenbeanteenqueen.com tomorrow. What a fun story! I remember noticing that i could actually *see* the leaves on the trees! Incredible! Wow what a fascinating story about discovering stars!!! That is a keeper for sure. Don't put me in the contest - I'm on the blog tour too (Wed. 3/27/13. Thanks for this great post! What an amusing story! I've had glasses since the 4th grade. Back then were big, pink glasses that I proudly chose myself. Now I mainly were contacts because my lenses are so thick, I can never see as quite well as I would like. Sometimes I wear faux glasses just for effect. Shh! Don't tell anyone! Like Kate, I also remember wearing glasses for the first time (at age 10) and telling my mother, "Oh! The trees have leaves!"